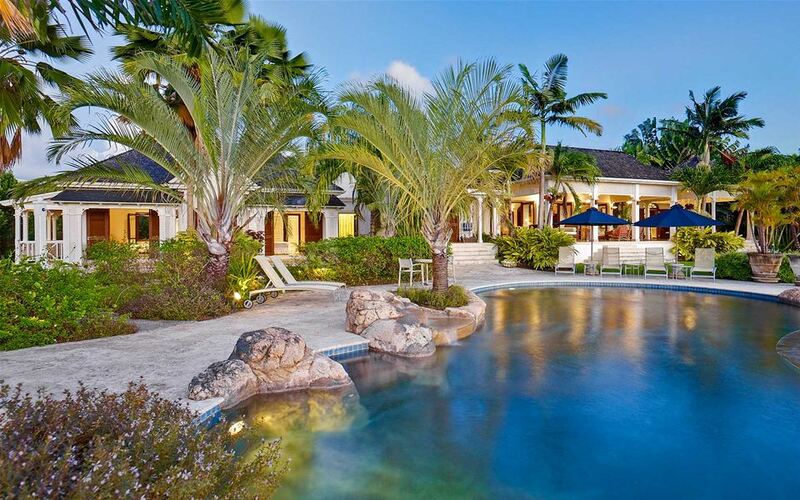 The fabulous Villa Sunwatch is situated in the highly esteemed Sugar Hill estate in St James, Barbados. 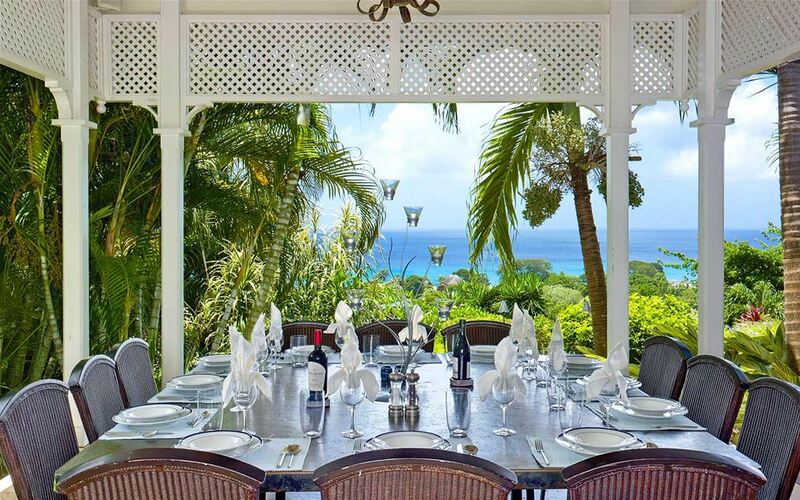 Set within 2 acres of beautifully landscaped grounds, the property has been built with local materials and outstanding architectural talents. 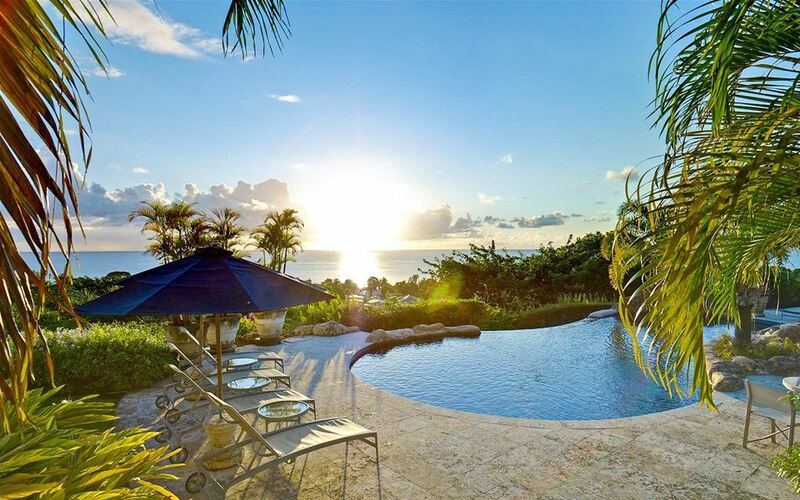 The single story villa boasts unobstructed views of the Caribbean Sea. 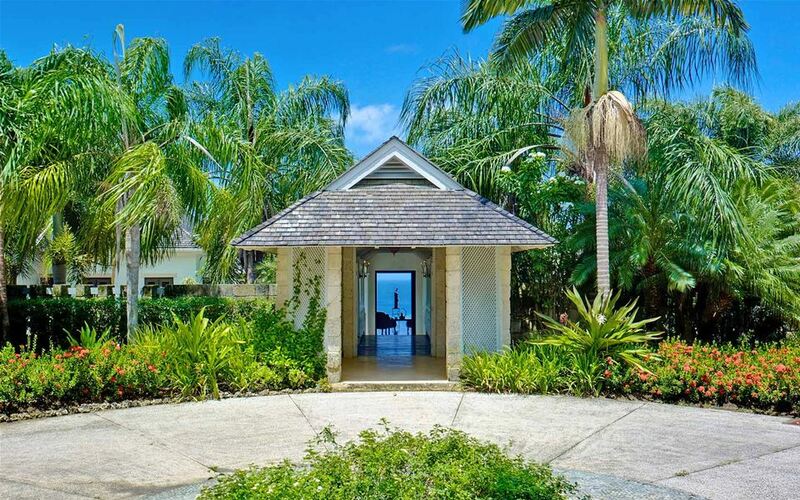 Guests enter the property via a private drive. 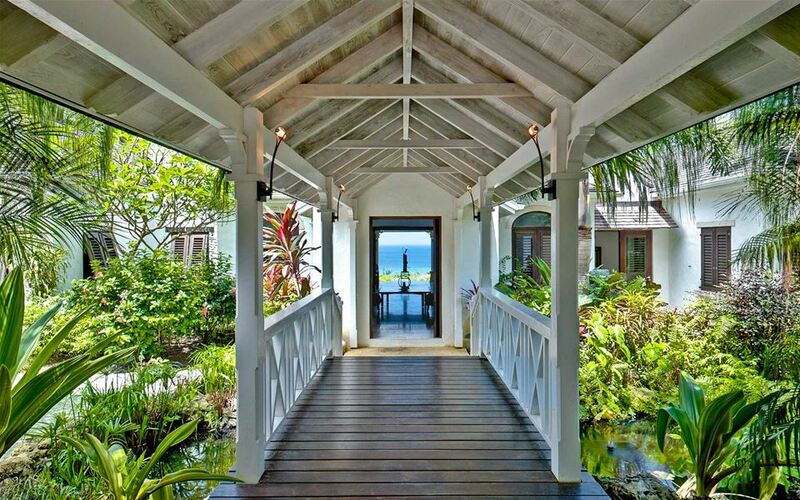 Once crossing over a pretty lily pond via quaint wooden bridge into the courtyard, the breath-taking views need to be seen to be believed. 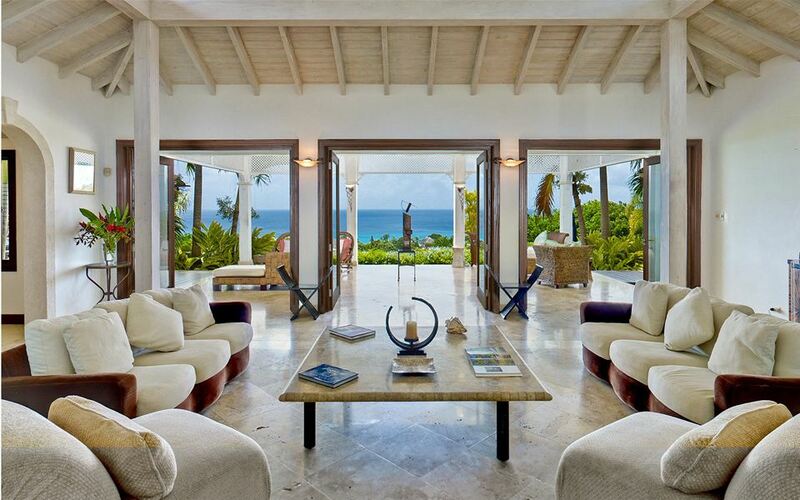 The central part of the villa is made up of the main living areas. With high vaulted ceilings and sumptuous furnishings, the living room opens onto a large covered terrace. 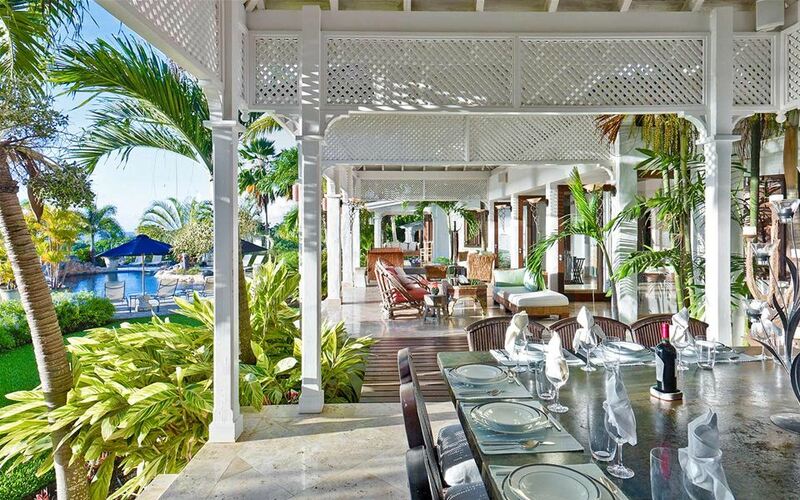 Just off of the living area, guests will find the bedroom wing on one side and the bar, kitchen and the picturesque dining terrace on the other. The bedroom wing includes 2 master bedrooms as well as 2 twin bedrooms. Each have an individually designed en-suite bathroom as well as covered patios. The bedrooms also have air conditioning and ceiling fans. The 2 master bedrooms feature dressing rooms. Adjacent to the lounge area is a spacious den complete with a 42" plasma television, satellite channels and a speaker system linked to both indoor and outdoor areas. The den also has an en-suite steam shower as well as an open patio. Opposite the den is a study/library with wifi. The outdoor space of the property features a truly stunning 15 metre, freeform infinity swimming pool. 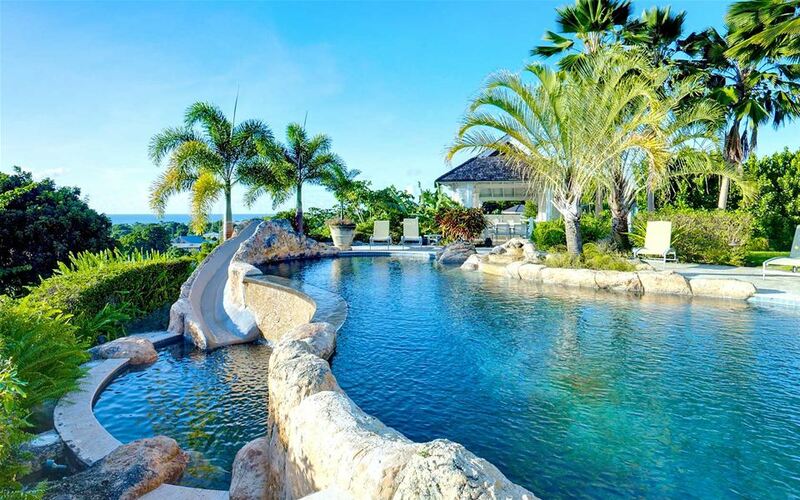 A unique water slide gives access to the lower pool and guests can enjoy the pool bar gazebo and Jacuzzi.